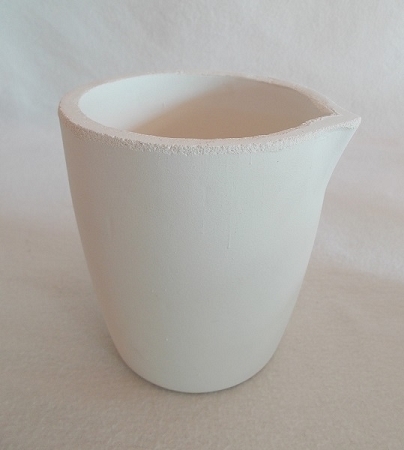 A high quality crucible, best choice for melting larger and purer amounts of gold, silver, copper and bronze. Made of fused silica with clay bond, for temperatures up to 2500°F (1371°C). Must be pre-glazed before smelting (instructions included). Dimensions: 4" outside diameter + 3/8" pouring spout by 4.5" high.